India is a huge country and elections keep of happening round the year. Election Commission of India (ECI), a constitutional body, conducts all the assembly and general elections in India. General Elections of India is an exercise of monumental scale. 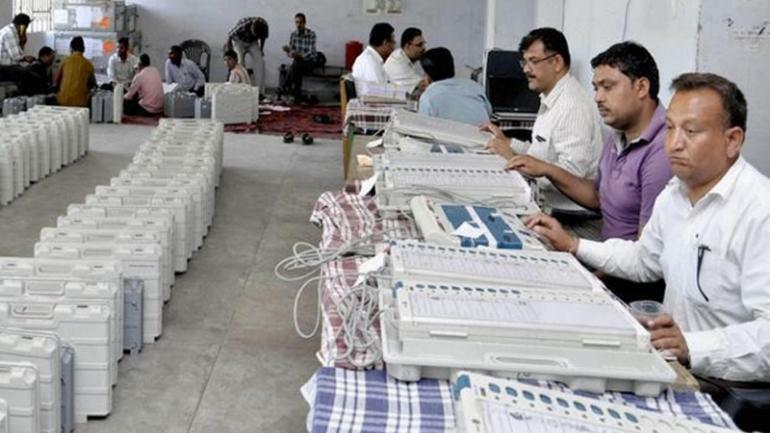 ECI calls millions of personnel from various government organization to help conducting the elections. All these government employees are bound to do the election duty and carry out the tasks assign to them. Among these employees there would invariably be persons with disabilities. A number of PwD find it difficult to do their election duties and would like to be exempted. In this article, we are discussing how a person with disability can get exemption from the election duty. Election Commission of India has powers to take action against a person who does not attend to her assigned duty. If you’re a person with disability who has been called for an election duty, you can submit an application to the District Election Office (DEO) or your immediate supervisor. In the application you should explain your disability and tell why you can not carry out the election duty assigned to you. Make sure you submit this application as soon as possible. Once assigned, it becomes difficult to cancel the election duty. On 23 December 2008, Delhi High Court had given a directive to the Election Commission of India for not engaging the persons with disabilities and women in election duties. 3.6.1 Physically challenged persons with disabilities as defined under the “Persons with Disabilities (Equal Opportunities Protection of Rights & Full Participation) Act, 1995 should not be deployed on election duty. In the case of physically handicapped persons (including visually handicapped and deaf and dumb persons), it may be considered whether any handicapped person as aforesaid would be able to go to the polling station/ counting Centre and perform election duties there. If any a person would not be in a position to perform election duties, he must be exempted subject to the satisfaction of the District Election Officer/Returning Officer. 3.6.2 The DEO and the RO shall make personal efforts to ensure that the special needs and requirements of the physically challenged persons are taken into account while choosing the polling station for deployment. It shall be ensured that they are not posted in any remote area; rather they should invariably be posted at the polling stations located in the headquarter. This can be incorporated in the randomization software itself so that the database contains information about the physically challenged personnel, if any and if drafted on election duty those persons are not be posted in any difficult location even inadvertently. 3.6.3 The RO should make a special effort to identify such individuals at the time of training itself and personally meet and discuss with them in order to understand their nature of disabilities and limitations and decide the deployment. In case any such physically challenged person even inadvertently deputed to any difficult location, the RO should be in a position to make necessary change manually in consultation with the Observer (ECI Instruction No.464/INST/2008/EPS Date: 23rd December 2008). If nothing works, you can file a writ petition in the court against the order of engaging you in election duty. You should enclose your disability certificate with you petition. All these steps should be taken asap. 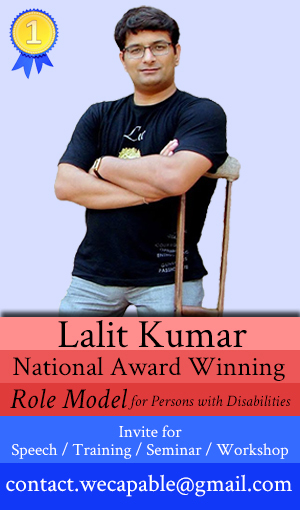 Lalit Kumar is a Polio Survivor. He is the founder of projects like Kavita Kosh, Gadya Kosh, TechWelkin and WeCapable. He loves finding useful things on Internet and knows how to put them together to create a bigger solution. He is passionate about technology, languages and literature.